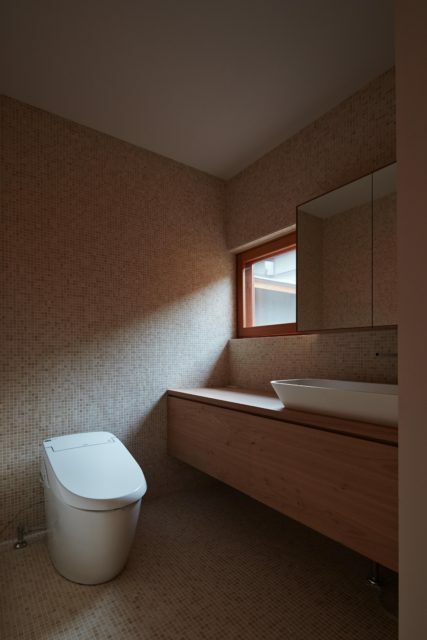 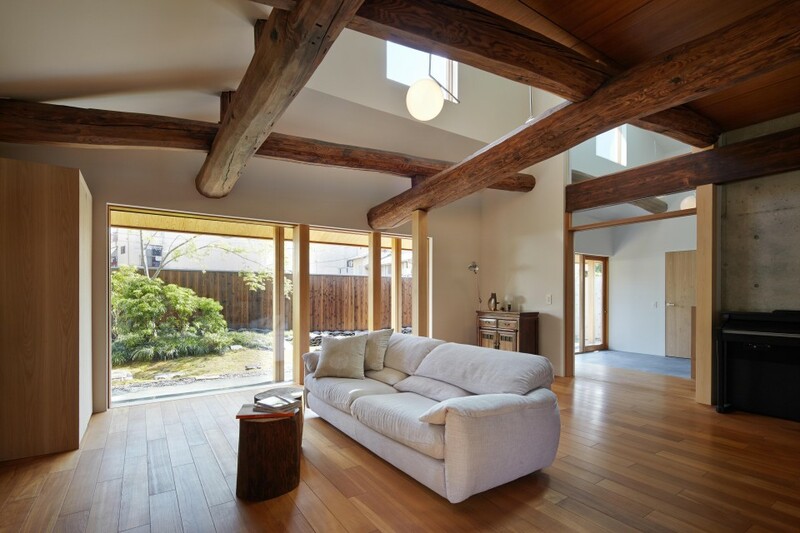 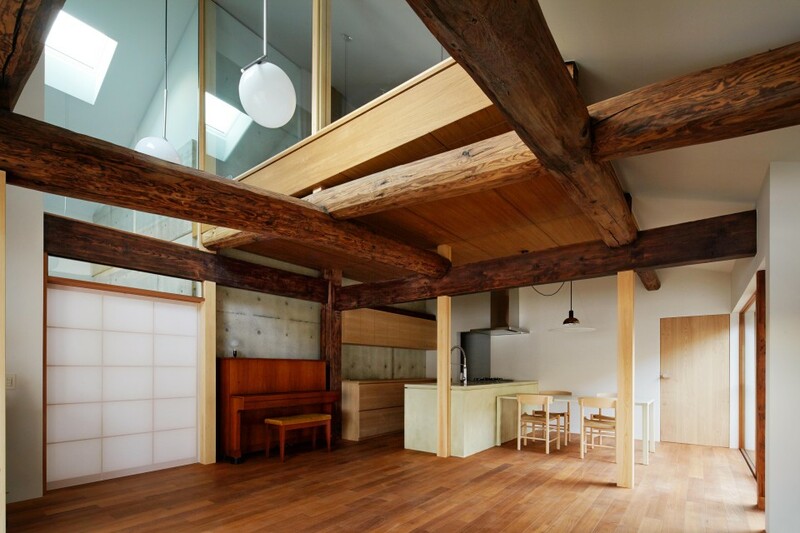 The “House along Saigoku highway” is a renovation project of an over-100-year-old wooden house located aside the Saigoku highway in the city of Muko at Kyoto Prefecture. 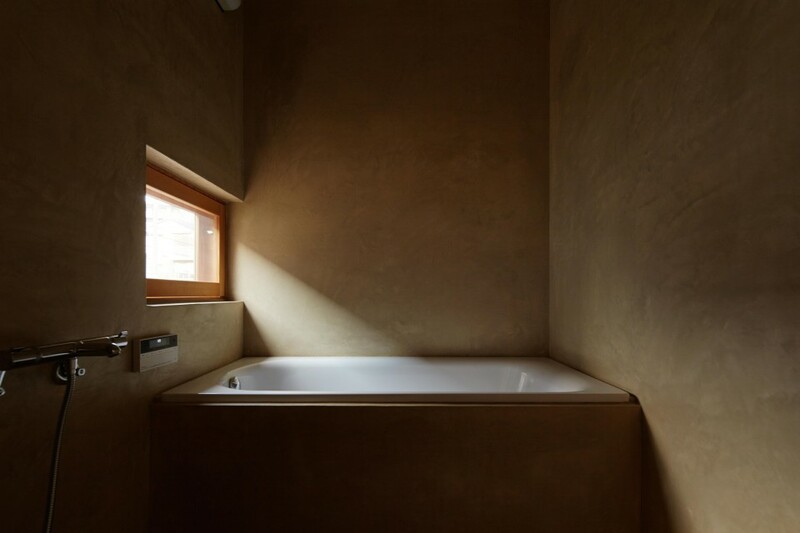 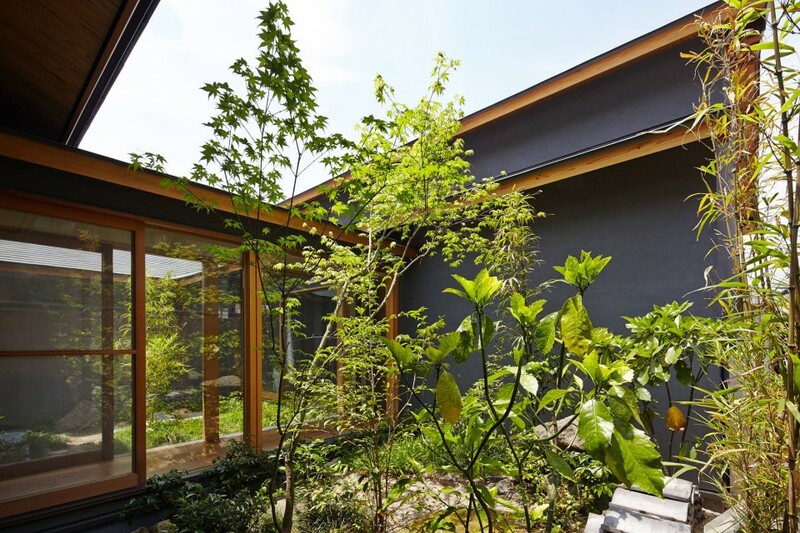 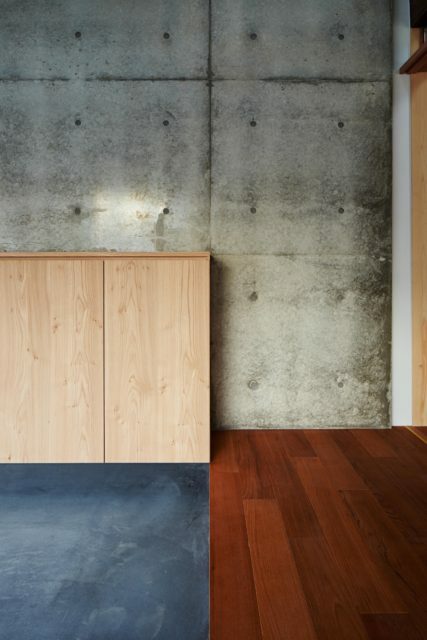 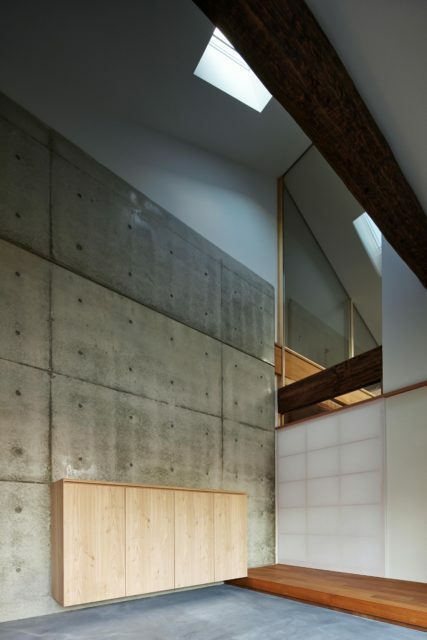 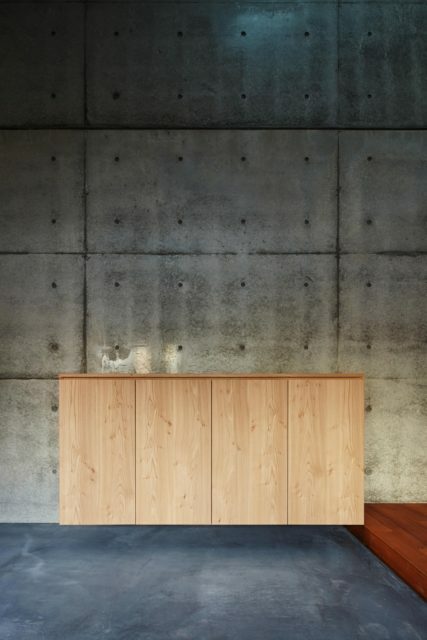 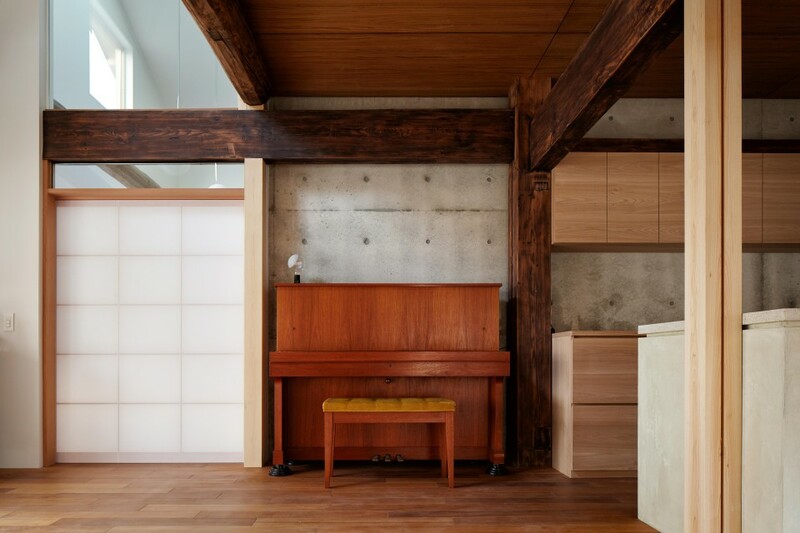 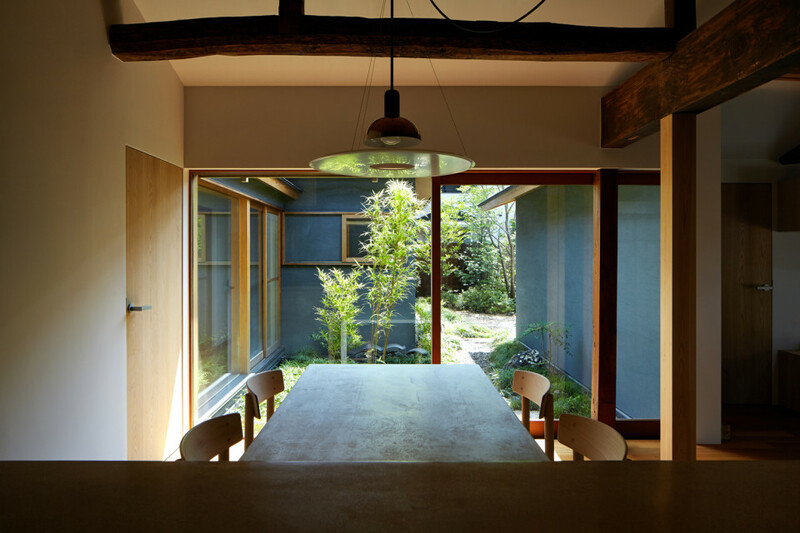 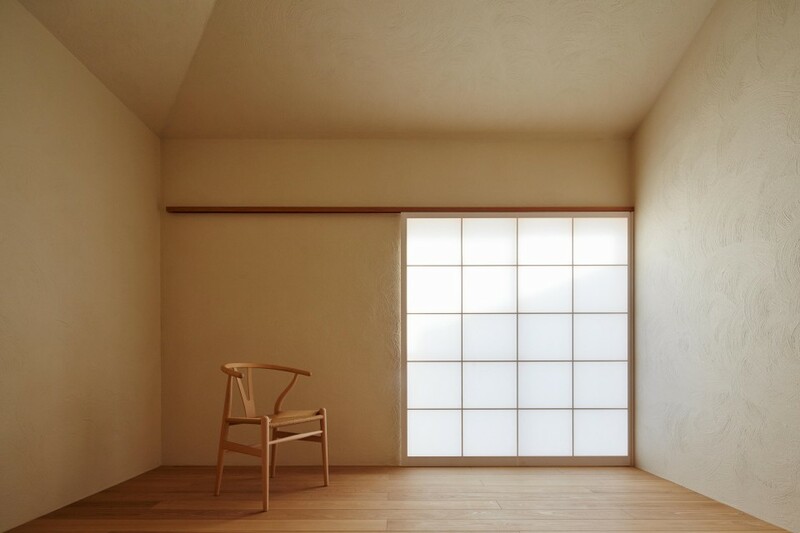 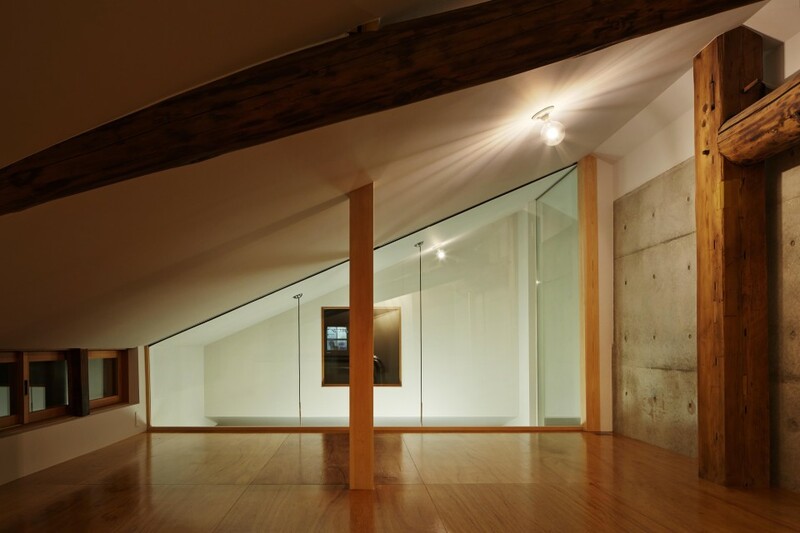 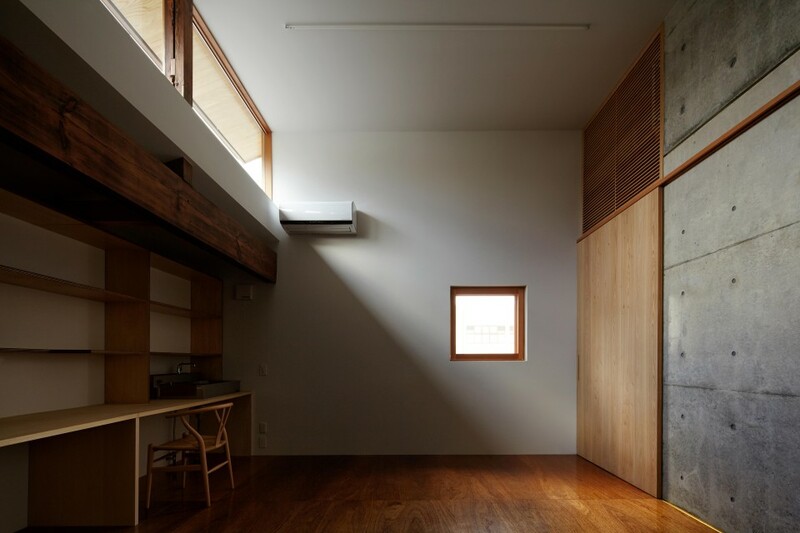 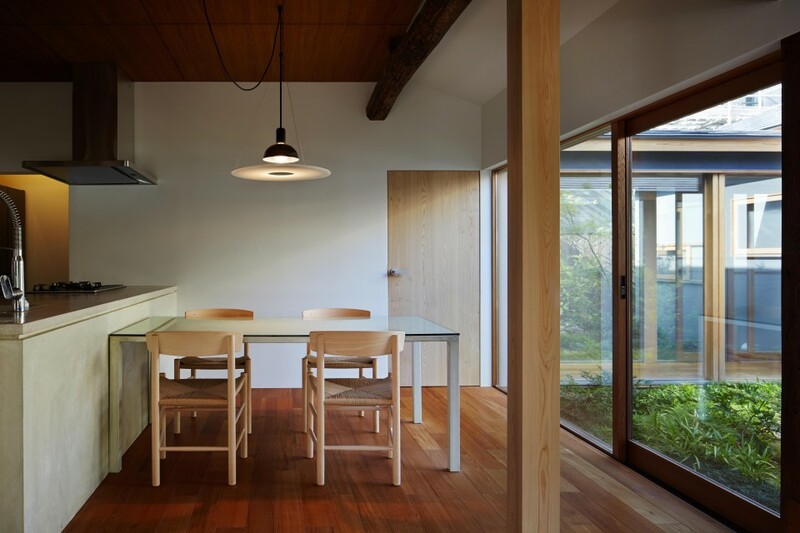 Due to artistic activity made by the owner; it is a living and atelier space for a 3 member’s family; the 60-years-old parents and their high school teenager son. 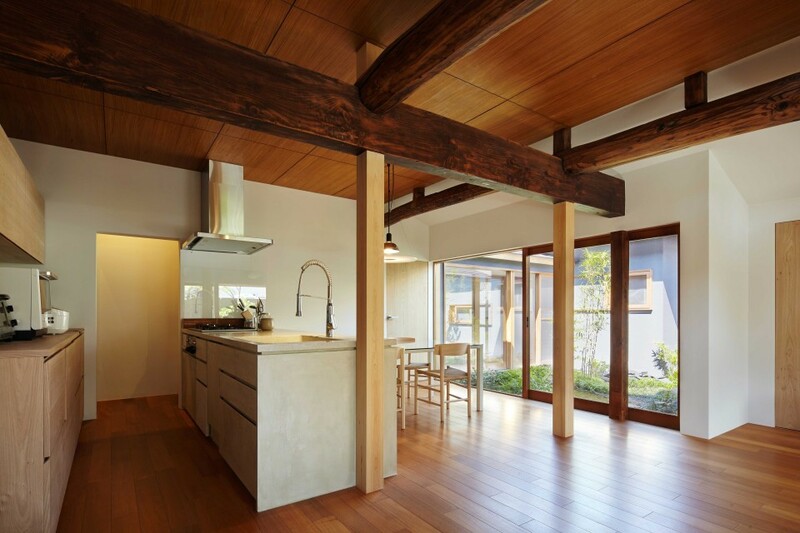 In addition to the main idea mentioned above, special emphasis is put on the retainment of the essential atmosphere the wood structure originally takes on. 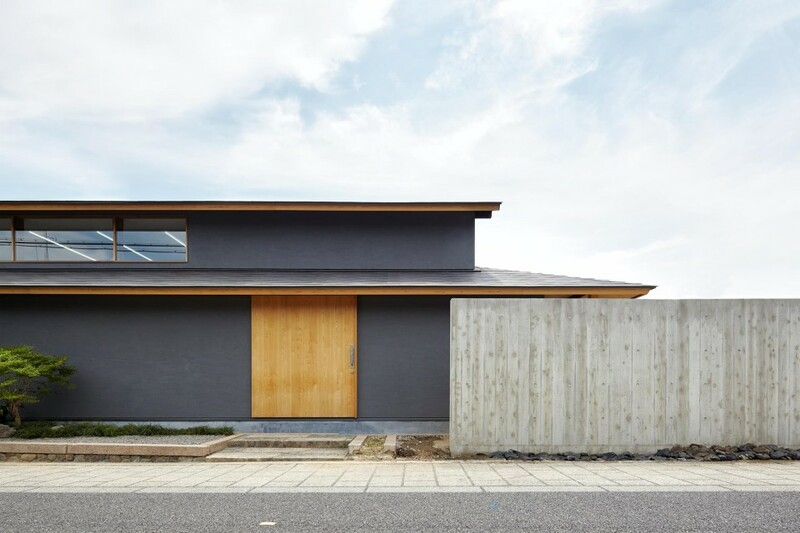 The facade, which faces Saigoku highway, is featured by the outside walls of refreshing color simply finished in plaster, the edges of the eaves trued up to horizontal lines, and the massive sliding door of wood. 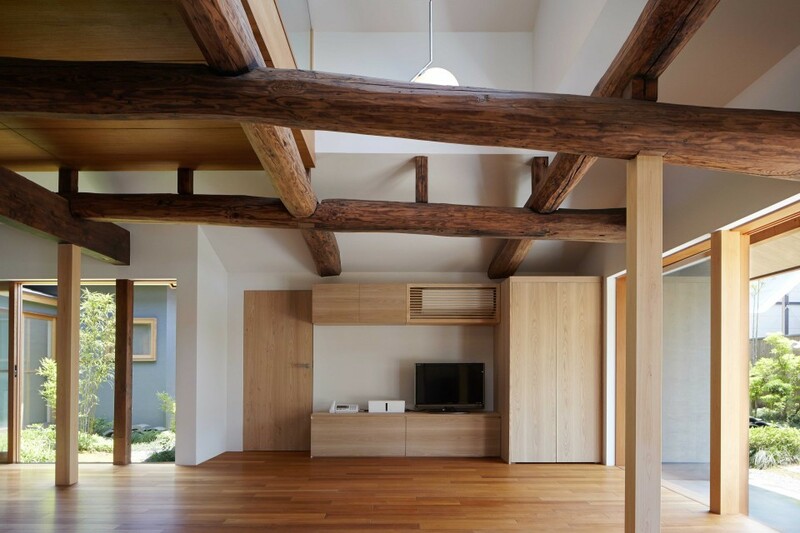 All these characteristics give us a taste of the old Japanese style of life, and present a new way houses today ought to be here in Kyoto. 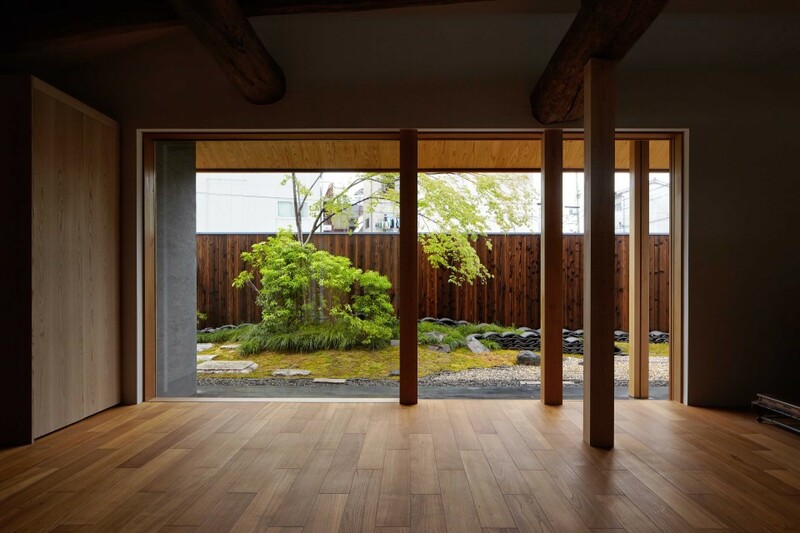 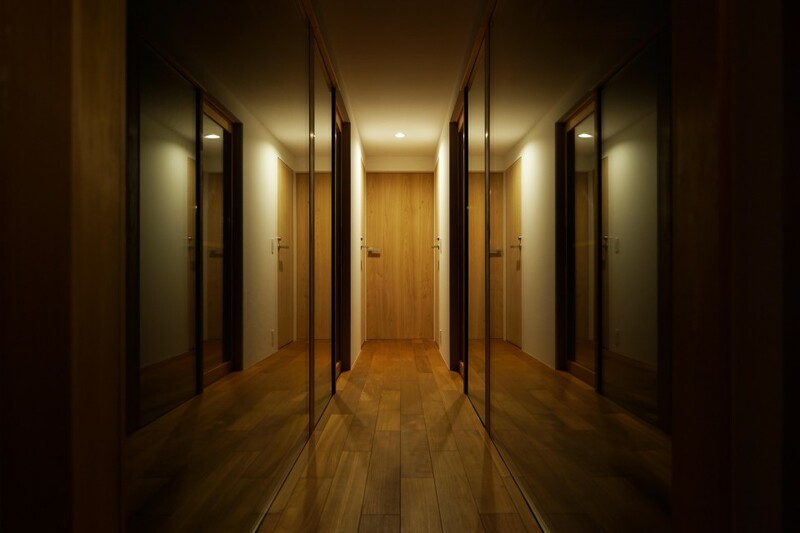 As to the inner space of the house, it is designed in order that the older couple can live in comfort and in a relaxed way as its final abode, and so that they can feel free from mental and physical stress when they enjoy their daily activities in it. 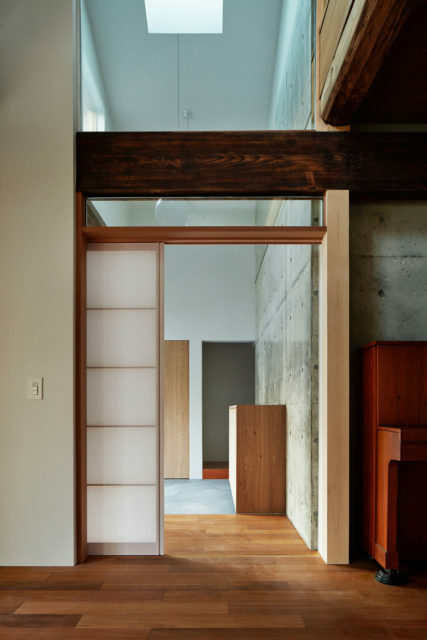 Also, a lot of careful attention is paid to the scale sensitivity it originally has, to the balance of the light which comes in through the openings and the shadow it produces, and to the contrast and harmony between the old structure and the new one. 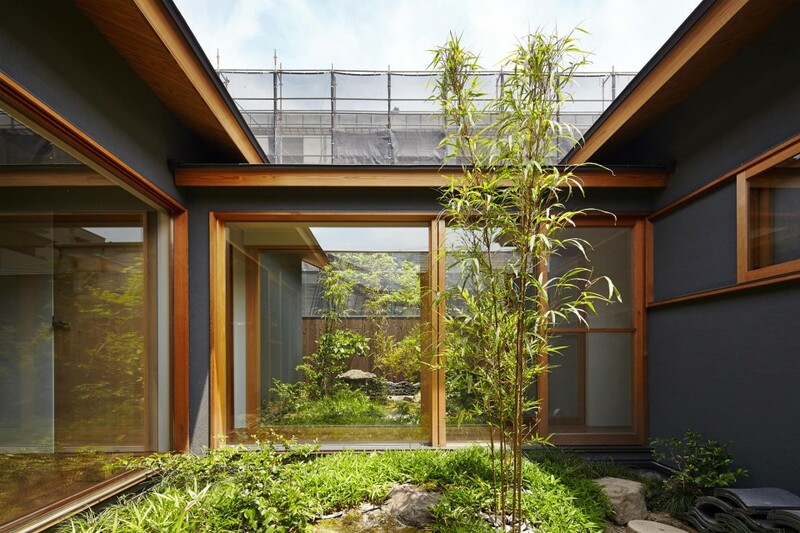 The roof tiles which were taken apart from the old house are preserved, and some of them are reused in the garden. 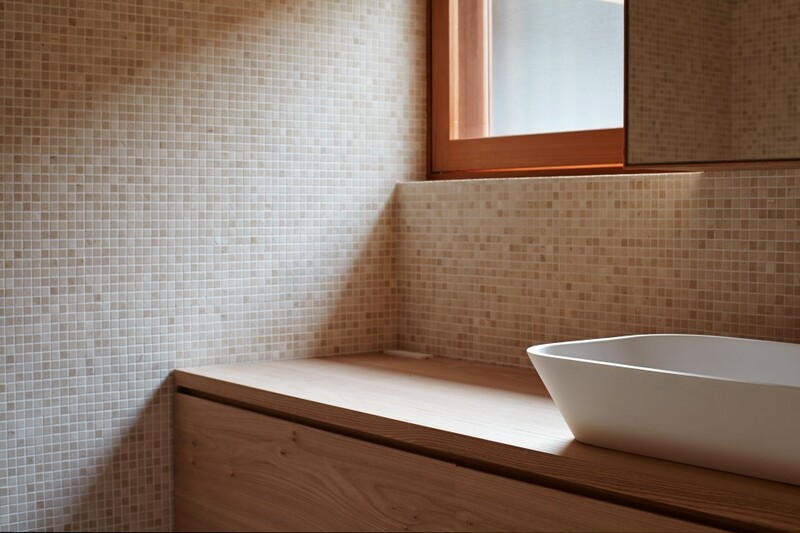 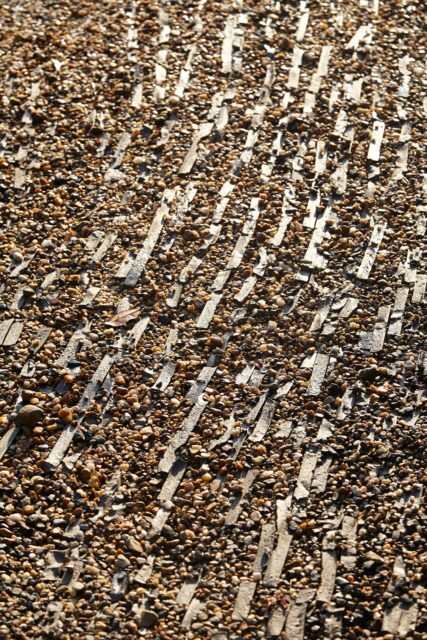 The tiles, gravels, and small pebbles are utilized for making the waving pattern on the surface of the soil. 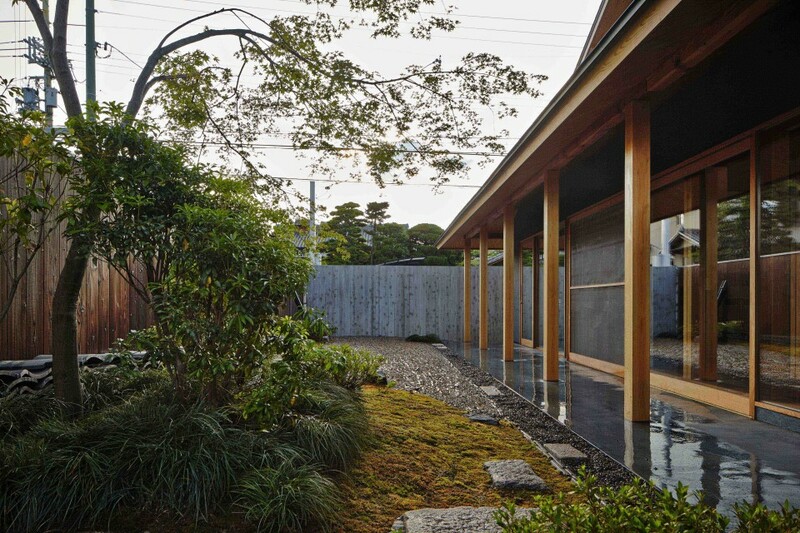 It is called “Kobadate”, a traditional technique applied to Japanese gardens or walls, with the side edges of roofing tiles placed vertically into the soil. 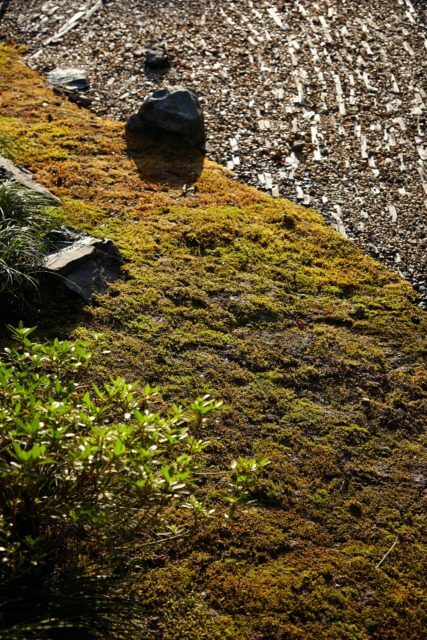 The tree stumps of Acer palmatum (Japanese maple) planted in the center of the garden extend toward Saigoku highway, running on top of another, and so they look as if they were changing themselves from day to day into the flowing of water. 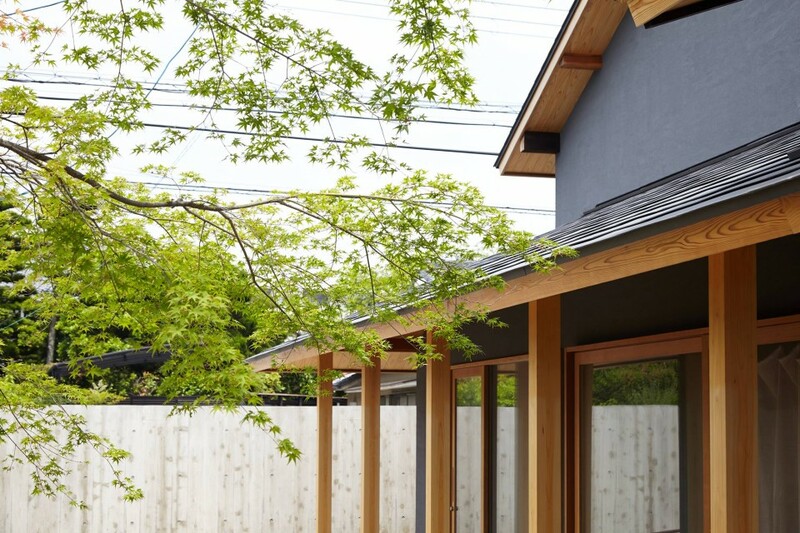 In the old times, Saigoku highway was the only main street westward from Kyoto, and was chosen as a passage when they held “Sankin-kotai”, an alternate attendance by a daimyo in the Edo period. 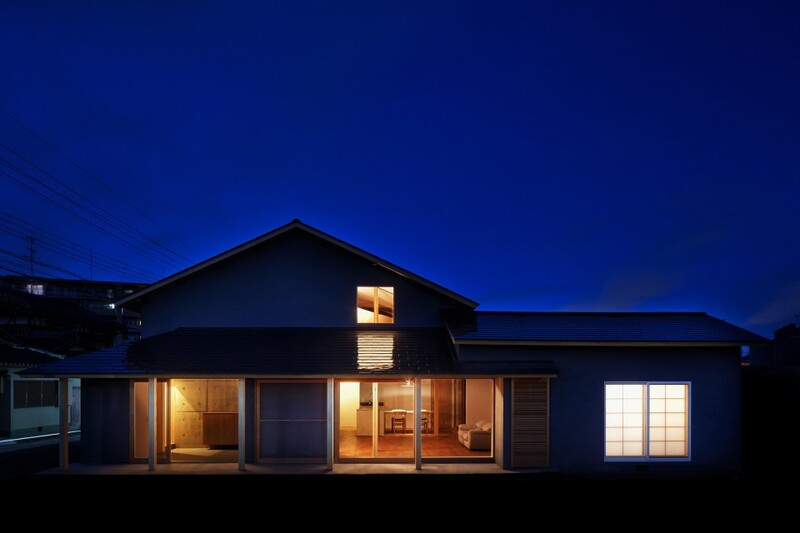 Along this highway, where a lot of people, a variety of commodities, and different kinds of cultures crossed with one another in the past, the house of over 100 years stands still before us. 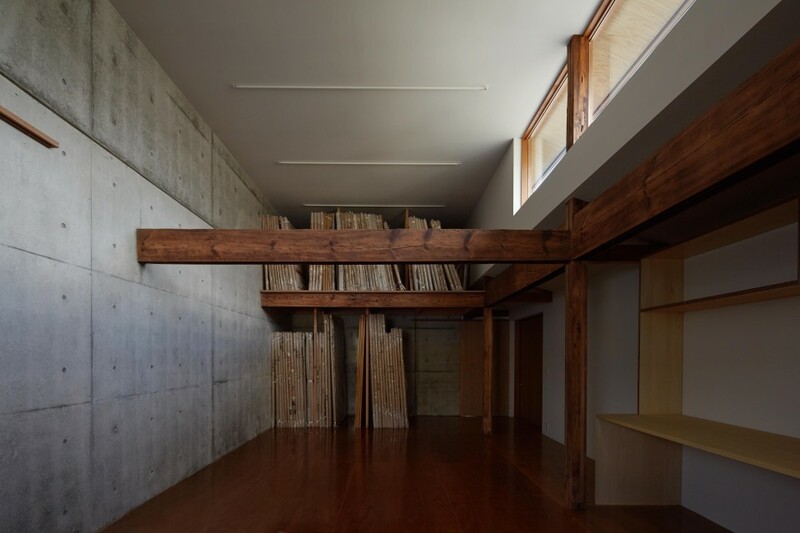 Until today, the house has long been supported by its strong beams and pillows, and besides, it is made even stronger now with the aid of the concrete walls. 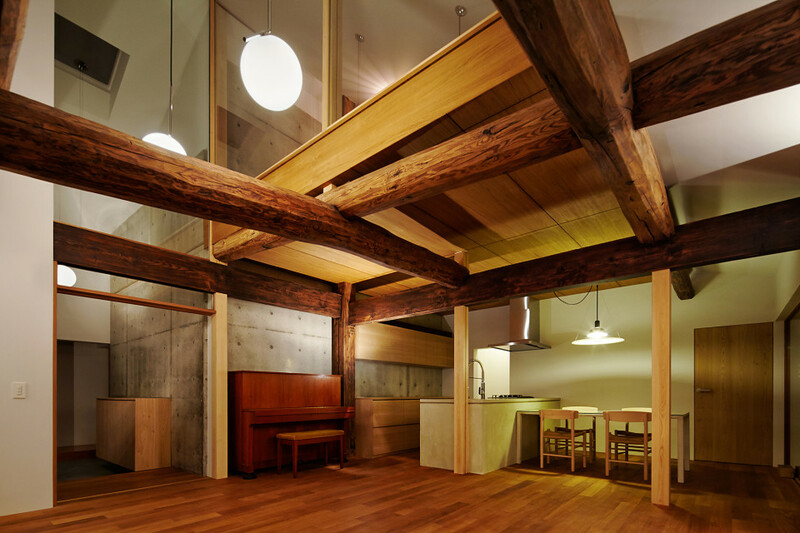 It still retains something of the family and its old days, and brings something new and fresh into the historic streets around as well.